Fun Jumpers and Teams Welcome! 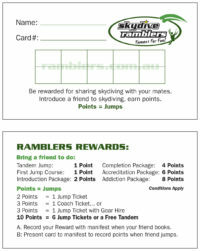 Skydive Ramblers at Toogoolawah near Brisbane is the fun jumping capital of Australia, and the Southern Hemisphere! Founded by Australian skydiving legend Dave “Macca” McEvoy in 1974, Ramblers was designed to be a resort for Skydivers – purpose built by jumpers, for jumpers. It’s a great place to learn to jump and an even better place to become part of an active community of experienced skydivers. Our Drop Zone has always been about Friends, Fun and Freefall! 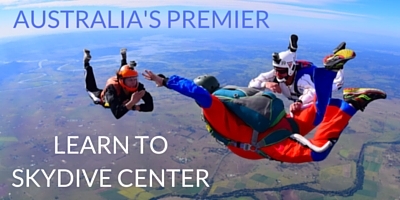 We are the #1 choice for sport skydiving near Brisbane! We welcome fun jumpers and respect the important role they play in our community. Loads at Skydive Ramblers are usually full of fun jumpers and we strive to never “knee-cap” our sport skydivers. One of the great benefits of being located in Toogoolawah and South Queensland is the fantastic weather all year round! Thanks to our inland location behind the mountain ranges, Ramblers see very little rain. There are big blue skies almost every day with mild winters and warm summers. Our Drop Zone is easily accessible from Brisbane, but we are just far enough away to enjoy sensational views of the night sky minus the city light polution. The clear night sky and bright stars visible from the Drop Zone make it the perfect place to enjoy a night jump or two. Be sure to check our Events Calendar to learn about upcoming training camps, night jumps, competitions, and boogies. 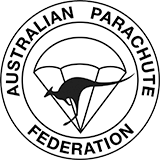 Ensure your APF membership and reserve pack card are current. Skydive Ramblers at Toogoolawah is open 7 days a week, 363 days a year for your jumping convenience (closed on Christmas Day, and on New Years Day)! The Caravan aircraft flies 7 days a week; on a normal week the average is 3 Caravan loads each day, sometimes up to 15 loads a day during organised camps. Over the weekends, the number of loads varies, usually around 12 loads each day, and up to 22 loads. If you’re planning on jumping mid-week, please give us a ring before you come so we can check the weather, find out your requirements, and make sure you get up in the air. This new fee is to cover the increasing expenses of APF Administration demands on Manifest and other operating costs of Power, Water, Cleaning and Maintenance to name a few. This is a daily USER PAYS fee and applies to all Fun Jumpers who jump on the day including Volunteers. Students, Tandems and Staff are exempt. It is not included in accommodation and rental payments. Please pay at the counter when you REGISTER for the day. Every weekend Ramblers appoints a local drop zone Load Organiser who is there to help people get on loads, help get them organised with other jumpers and to make sure they are catered for. If you are new on the Drop Zone, ask manifest who the load organiser is and get him or her working! Skydive Ramblers is proud to be the home DZ of a number of top Load Organisers and Coaches, many of whom are past or present National Champions, even World Champions. They are happy to work with beginner, intermediate and advanced skydivers in Star Crests, B-Rels, and Bigways (flat fly), Free Fly, Canopy Formation (CRW) and Canopy Handling. Ramblers Freefly Load Organisers and Coaches provide organised dives, personalised coaching and advancement through the APF Freefly Table for beginner, intermediate and advanced freeflyers. Canopy Flight Coaching is a speciality of Ramblers, boasting World Class canopy pilots from several dz CRW teams. One-on-one Canopy Handling jumps are available. Feed your Addiction! Be rewarded by sharing skydiving with your mates. Introduce a friend to skydiving, earn points. 2 Points = 1 Jumps. Record your Reward with manifest when your friend books. Present card to manifest to record points when friend jumps. Night jumps happen around the full moon. Contact us to find out when the next night jumps are on! Night course for first timers starts at 5pm. First load up as soon as the sun goes down, weather permitting. Licence requirement: Need C-certificate. Bring small torches, cylume glowsticks, light for helmet, illuminated altimeter minimum. Tape provided. Come out and save on jump- & coach tickets! It’s all about Fun jumping & Fooz. ** Jump & B-Rel Coach tickets are useable only on Fantastic Fridays. Refunds attract a $5 fee. Be aware that Funtastic Friday tickets can only be purchased online, there are no over the counter sales for them! Purchase 3+ Funtastic Friday jump tickets online before arrival! This new fee is to cover the increasing expenses of administration demands on Manifest and other operating costs of Power, Water, Cleaning and Maintenance to name a few. This is a daily USER PAYS fee and applies to all Fun Jumpers who jump on the day including Volunteers. Students, Tandems and Staff are exempt. It is not included in accommodation and rental payments. Please pay at the counter when you REGISTER for the day, or pay online to save money & time at the counter. Online special! PURCHASE JUMP TICKETS ONLINE with credit card. Note: Drop Zone Price changes as from 6th April 2019. Jump Ticket & Registration (User pay) fees. 1-3 Jump Tickets	- 14,000 ft.
4-9 Jump Tickets	- 14,000 ft.
10+ Jump Tickets	- 14,000 ft.
50+ Jump Tickets	- 14,000 ft.
100+ Jump Tickets	- 14,000 ft. Coaching Tickets with Video	- Coaching Tickets cover Coach & their slot, full brief and video debrief of jump, plus dub a copy of the jump of your video. Funtastic Friday Jump Ticket	- Come jump on Fridays and save! EVERY FRIDAY is a funtastic Friday, except during Boogies and Special Events.